It’s not hard to discover that hair stylist Michael Charalambous has plenty of creativity pumping through his veins. From the beguiling exotic African décor that dresses his buzzy Chelsea-based hair salon Nyumba, to his spicy character and even through to his personal sense of style, Michael puts his individual panache on it. As both founder and artistic creative director of his buzzy hair and beauty spot just off Sloane Square called Nyumba, which means ‘home’ in Swahili, Michael tells me he’s a Cypriot of origin and grew up in Tanzania, which is the inspiration behind the Jumanji-esque backdrop for his hair palace. The captivating East African interior features an eclectic medley of Serengeti wildlife figures and hand crafted artwork and other memorabilia by the local Masai to make it look not only impressively unusual and trendy (he calls it a hail to the new era of the ‘anti-salon’) but also extremely warm, fun and inviting –showing off his natural flair for interior design. There’s even a café bar in keeping with the colourful theme to entice guests to stay longer. As I arrived for my cut and blow-dry appointment, Michael was finishing up with his previous client who turned up late and so he had squeezed her in to try to avoid her disappointment. So, after a quick shampoo, conditioner and rinse at the back basins by his assistant Ian, Michael went straight in for the kill and started to snip away, barely needing to ask me the typical questions when you tend to meet with a hairdresser for the first time. With my tangled, tired and majorly shedding post-pregnancy hair, this was an unfazed challenge for Michael and he was wittingly ready to take it on. Fundamentally, he made me feel good about my hair. My tresses were transformed with textured layers and I was given a soft side fringe, followed by a sleek, bouncy-curl blow-dry. 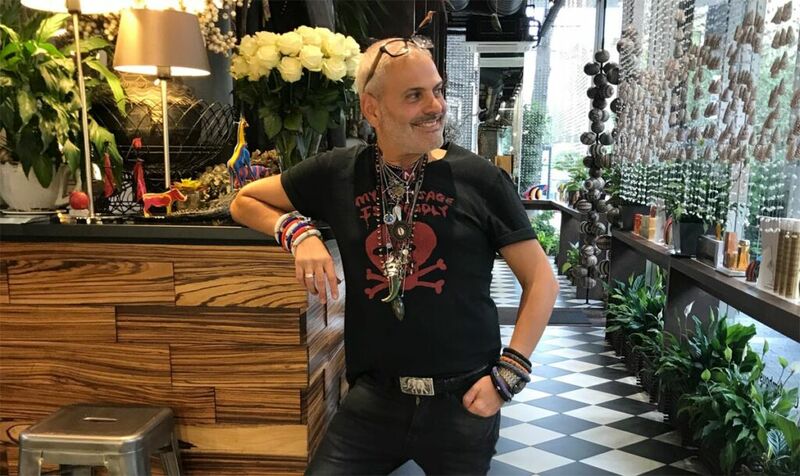 Michael has been in the hairdressing industry for over 30 years and has a long string of VIP clients, from international royalty to British aristocracy and celebrities. Trusted haircare brands such as Kerastase, award-winning French natural haircare brand Leonor Greyl, Wella and L’Oreal are just some of his chosen beauty weapons to help perfect his classic Chelsea cuts and more avant-garde styles for his clients to look and feel fabulous. Nyumba also has a closed-off VIP room for those who expect the utmost discretion and privacy when visiting. 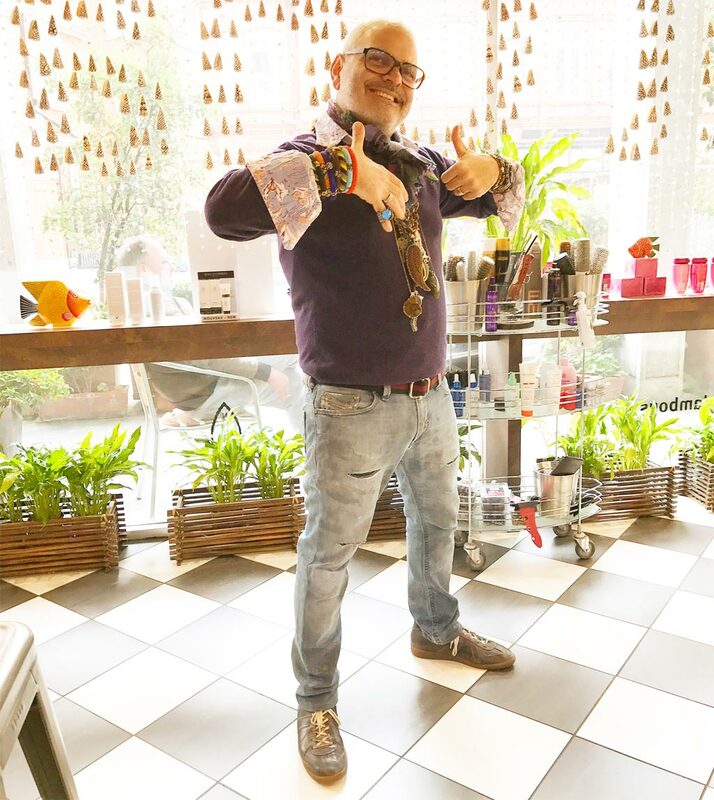 As a hair mentor, Michael also has kept an eye on scouting for budding talents and sets himself out to support, nurture and boost their level of hair styling proficiency. Michael opened up his original residence on Mayfair’s Mount Street until he craved a bigger and better landscape for his team of session stylists and colour technicians. He has also expanded into hosting a myriad of beauty therapy treatments where his clients can experience manicures, pedicures, waxing and facials and more. As we said goodbye, Michael’s passion for the hair industry and the creative world was shared again, as he talked about his desire to develop his own line of hair care products. For now, it was time for me to head out to Belgravia and show off my healthy-looking locks.